Universal in roof mounting system for roofs with metallic and wooden purlins. IMPORTANT – Only for projects of 100 kWp minimum. 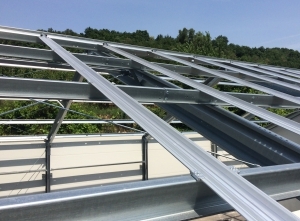 EASY ROOF INDUSTRIAL is now able to offer a solution to meet the specific characteristics of most types of roofing, Portrait or Landscape found amongst industrial and agricultural buildings with fixing on metallic and wooden purlins. 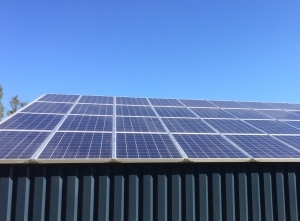 You will be able to integrate quickly and easily in Portrait / Landscape style, the great majority of PV panels available on the market thanks to its all- purpose components. Save time and money thanks to its inventive process of splint bar with no cuts and no seals. Solution for roofs with slopes between 8 and 40 degrees. Minimal amounts of parts are required for the assembly of the structure. Aluminium fixings and stainless steel fastenings to provide an ultimate resistance to extreme weather conditions. Available in mill aluminium or black finish. 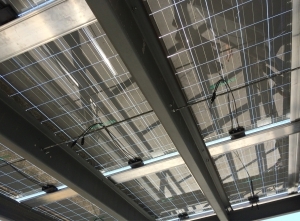 60 cells 6’’ framed PV module – LANDSCAPE.